Virtual field trips are a great way to engage learners; creating an immersive and memorable experience for them. Thanks to advances in technology, teachers can create 360-degree virtual field trips for students that are both high in quality and relatively low in cost. In total, a teacher can spend anywhere from a few hours to a few days to generate these VR applications. Below, I’ll walk you through the major steps in creating the virtual field trip for Google Cardboard headsets. 1) Purchase a 360-degree camera. You’ll need a 360-camera to create virtual reality; something most teachers might not initially have. The cost of cameras has dropped a bit over the last couple years, with many sub-$300 cameras on the market from the likes of Ricoh, Insta360, and Kodak. For better 4K quality image/video, I suggest buying a used higher end camera on a site like eBay, if you don’t have budget for a new one. 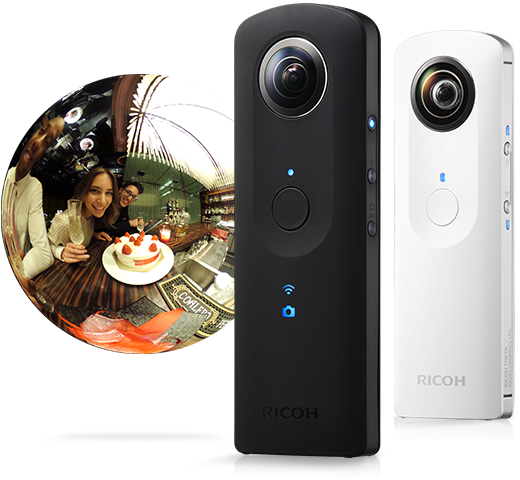 2) Travel and capture your 360 images and video. You may want to storyboard what your VR experience will entail prior to doing the media capture. Your students will need a natural narrative to follow in the VR headset, and you’ll want to make sure to capture all aspects you want conveyed in your final app. It’s also worthwhile to invest in a selfie stick or tripod/monopod so you don’t have to appear in each 360 scene. A ‘Virtual 360 Field trip to Ellis Island’ could include a hotspot video showing archival footage of the area where immigrants underwent inspections upon arrival. 4) Publish and Distribute your Google Cardboard VR app. There’s two approaches to this step: You either publish to a single cell phone and pass it around to your class, or publish the app and distribute it to your students who have smartphones, so they can keep the app and run it on a Google Cardboard whenever they want. The latter approach is probably only a good fit for high school students, who are more likely to have smartphones (though you will have to get funding for multiple Google Cardboard headsets). Author bio: Andrew Woodberry is the Head of Sales and Marketing at InstaVR, a web-based platform for authoring and distributing virtual reality applications. Previous Write on the walls! Next Secret Santa – a fantastic online tool for organizing it!